Living Legend Sachin Tendulkar - A site from a die hard Sachin Tendulkar Fan: Happy Diwali!!! During an interview to BBC Anjali Tendulkar said, "He hasn't spent Diwali at home since we got married. But it really doesn't matter that it's Diwali... any time he spends at home is great!" Well guys, all I can say is, "Great men are defined by their great sacrifice"
So, do not miss this wonderful blessed opportunity to spend time and have fun with your family; friends. "Happy Diwali" to all fans and followers of the master from Raj. Now, YOU can wish others too! Just click on the comments link above and leave your message. 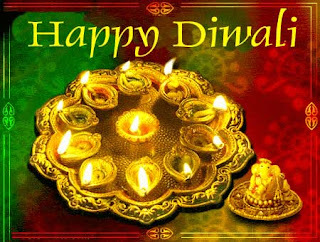 Happy Diwali and chat to all of you. No Doubt that sachin is a great player but now he is becoming a history because he is not playing well in my view he should RETIRE so no one blame me and he will be fav. all. and will be the god father of CRICKET this is my comment i know this will harm his fans but at what time he will play the cricket???????????? Can u have any ANSWER???????????? man. you are goddarn right. Sachin did rattle the aussies today single handedly :). 175 of 140 is amazing. I hope that answers the guy above.